We’re here to make life a little easier when it comes to feeding your family. From our No.1 best selling App, to Annabel’s 45 cookbooks for all ages and stages, to our weaning equipment and bibs; we promise the very best for mealtimes. 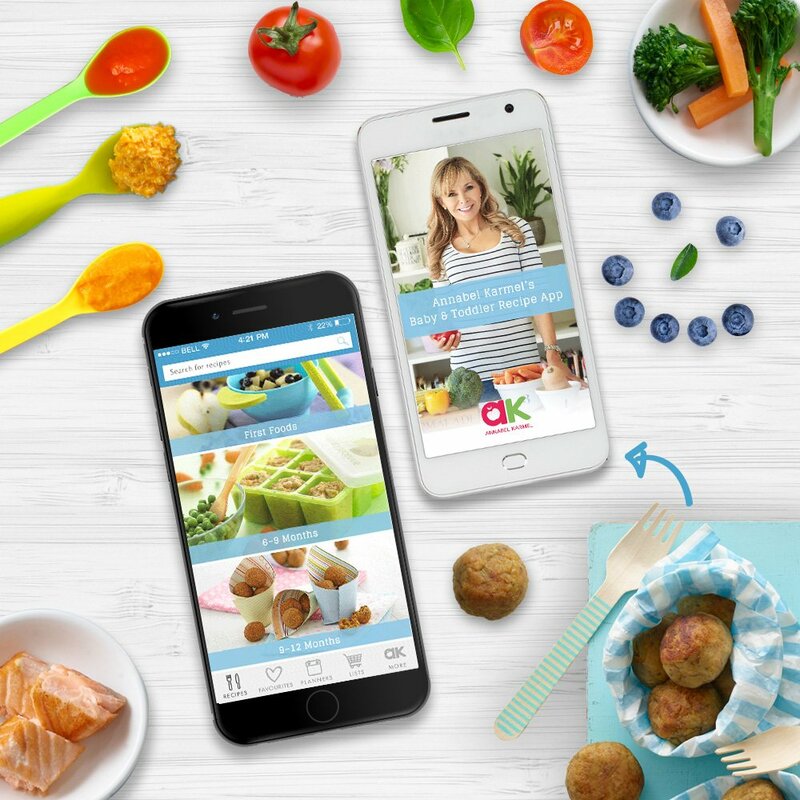 Prepare quick, easy and nutritious meals for children of every age and stage with the No.1 App on the Appstore: Annabel Karmel Healthy Baby & Toddler Recipes app. 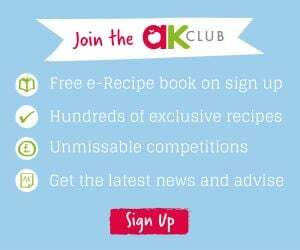 New, updated and filled with over 250 delicious recipes, meal planners, shopping lists and more. It’s the handiest guide for simple mealtime inspiration for busy mums and dads when preparing baby food, making toddler meals or cooking for the whole family. 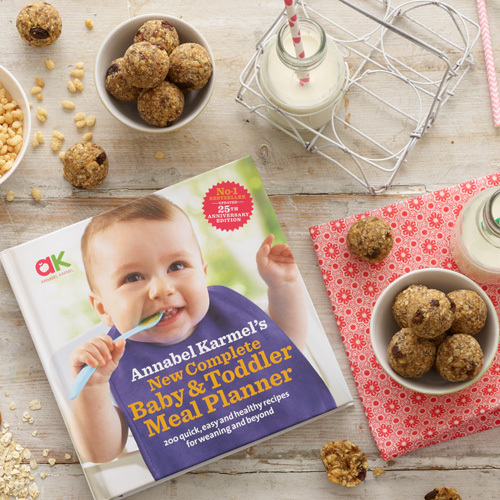 From pregnancy and weaning babies, through to feeding children and cooking up inspiring family mealtimes; Annabel has every age, stage and food occasion covered with her bestselling cookbooks. The Annabel Karmel by NUK range is designed to help make feeding time easier for parents. 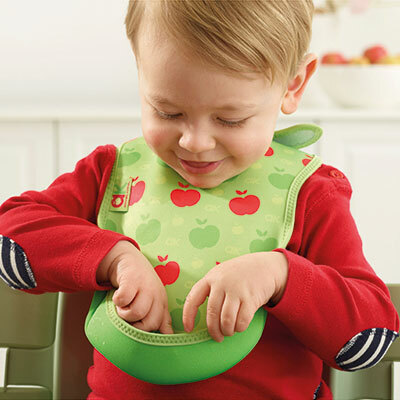 Our equipment makes it easier for you and your baby through their weaning journey. 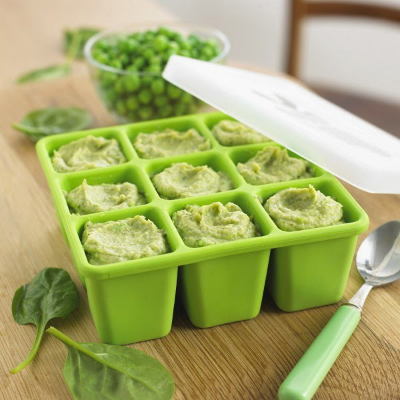 Whether its storing frozen baby food, mashing food to create texture or making fresh fruit ice lollies to help soothe sore gums. Explore our full weaning equipment range. Bibetta’s award-winning UltraBibs™ are made with neoprene, the same waterproof material that wetsuits are made of. They are soft, stretchy, super comfortable to wear and have a pocket that folds out, making them ideal for baby led weaning.